OPR is proud to announce the opening of our brand new office, on the main road into the north ridge of Flamingo, right across from the marina. Join the fun at the "Flamingo Beach Party", Saturday, July 8th, from 4pm - 9pm in front of Coco Loco Restaurant! Enjoy Live music from great local bands, great craft beer and cocktails on the white sand of Flamingo Beach. Buffet dinner will be served at 6pm on the beach. Pig Roast, Seafood Paella, Roasted Chicken, Antipasto, and dessert. We have the best restaurant sponsors, Jean Luc of Coco Loco, Marie of Marie's Restaurant, Joseph of Angelina's and Natasha of The Surf Box. We have craft beer specials, mixed drinks and wine. $20 admission to the Flamingo Beach dinner on the beach! All proceeds go to help Flamingo stay beautiful and maintain roads etc... This event is hosted by the Flamingo Association, ( Association Pro Mejoras de Flamingo ) Join the fun! University of Costa Rica climbs 30 spots in world University rankings. 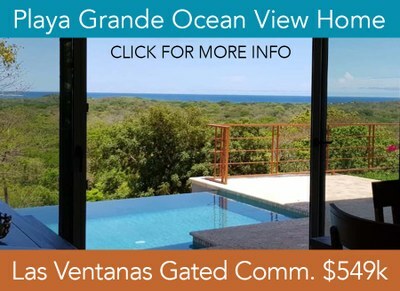 Overseas Pacific Realty announces their new user-friendly web site full of Costa Rica real estate for sale. We are pleased to announce our partnership with Mark Haddad, the owner and founder of Gold Coast Sky Cam, a photography company that specializes in ariel drone footage of nature, scenery and real estate in Costa Rica's Gold Coast region in Guanacaste, and you can find much of his work in our exclusive real estate listings on this site.